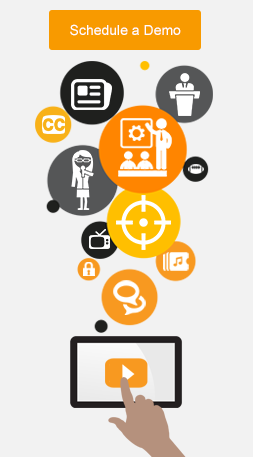 Multi-language captions are a great way to make your video accessible to everyone! 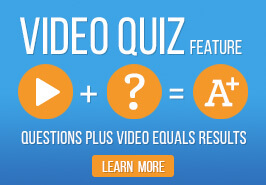 Ensemble Video allows you to add captions in several foreign languages. When viewers click the "CC" button on the Ensemble Video Player they are able to select their preferred caption language from a menu. Quelle surprise! Perfecto! Tolle! Ensemble Video customers can request automatic captions in French, German, Portuguese, Spanish (Mexican), Spanish (Spain), English (US), English (Australia), and English (Great Britain). 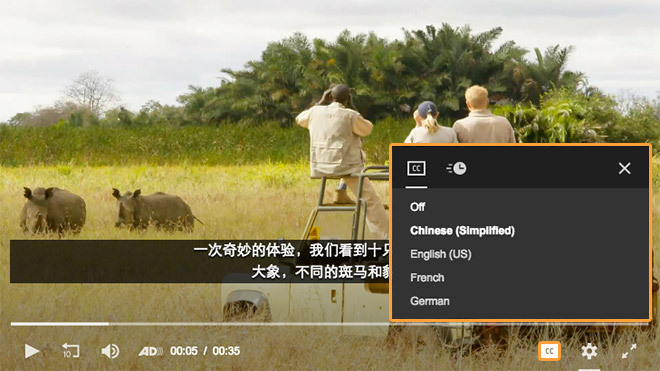 Ensemble Video customers can create and edit captions in Chinese (Simplified), Chinese (Traditional), French, German, Japanese, Portuguese, Spanish (Mexican), Spanish (Spain), English (US), and English (Great Britain). 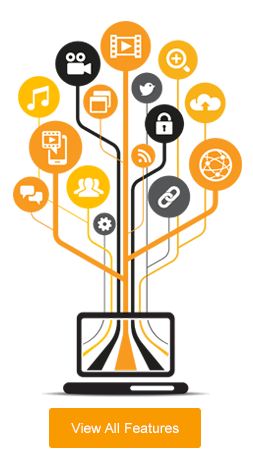 Ensemble Video customers can upload WebVTT and DFXP caption files in Chinese (Simplified), Chinese (Traditional), French, German, Japanese, Portuguese, Spanish (Mexican), Spanish (Spain), English (US), English (Australia), and English (Great Britain).